Well, it is tax time again! For some of us, tax time is a total nightmare. I used to love tax season when we got a big refund each year but now owning my own business, it doesn’t work out that way. To keep what we pay in taxes down as low as possible, we need to know what we can deduct and what we cannot. For a lot of us, it is better to go to a professional to ensure we get the most deductions possible. But there are a lot of us who prefer to do our own taxes. If you are one of the many that choose to do your own taxes, here are some tips to help you minimize your taxes. All the forms mentioned can be found at the IRS website. 1. Keep Organized – Always keep records and receipts of all your purchases, expenses, and income. Don’t just throw everything in a shoe box. Keep papers categorized and filed. This will save you a lot of headaches when tax time arrives. A lot of records can be kept and organized electronically as well. 2. Home Office Deduction – If you have a room in your home that is used only for your business you can deduct a portion of your home’s expenses. It also has to be the primary place of business, meaning you do not rent office space or conduct business elsewhere. With a home office, you can deduct a portion of your mortgage, utilities and home repairs. You can use Form 8829 to figure out your home office deduction and add it to your Form 1040 Schedule C.
3. Donate to Charity – You can deduct cash and property donations but you must keep impeccable records on all items. For example: if you donate over $5000.00 in a non-cash property, you must have it appraised in writing for fair market value. If you donate over $500.00 in non-cash items, you must use Form 8283. You also must be able to itemize each and every item donated. 4. Mileage Log – If you use your vehicle to go see clients, or for other business purposes, be sure to keep a mileage log. Record the date, the destination, the purpose of the trip, the mileage from your odometer at the start and end of the trip. You cannot simply write down that you drove 50 miles. 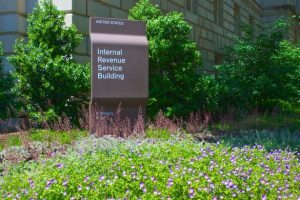 The IRS will expect much more detailed information. 5. Hire Your Kids – If your kids are over 6 you can hire them to help you with your home business. This is good for the kids as well as helping with your taxes. The wages you pay them are tax free if the kids are under 18 and they are a deductible business expense for you. 6. Telephone Deduction – If you only have one phone in your home, you cannot deduct it as a business expense because it is not used exclusively for your business. You may deduct long distance charges that are made for your business but you might want to consider getting a second line used only for your business. This way the whole cost can be deducted. 7. Training and Information – If you take classes, attend seminars or further your education to help you with your business, those expenses can be deducted. You can also deduct business-related books, newspapers and other publications. 8. Mailing Expenses – If you send greeting cards to your clients and prospects, they can be deducted as a business expense. You can also deduct the postage. If you purchased email addresses or mailing lists for your business, they can be deducted as well. 9. Website Expenses – Don’t forget your website expenses as part of your deductible business expenses. Web hosting, domain name, and software are all deductible expenses. If you paid someone to design your site, don’t forget that in your business expenses. However, there are some specific rules on website design costs. 10. Health Expenses – If you have non-reimbursed health costs, these can be used as a tax deduction. This includes insurance premiums, co-pays, and other health related expenses. This can be a substantial deduction if your health costs are large. The information provided in this article is based on general online research so be sure to check out all new tax laws and/or consult a professional. Tax time does not have to be a stressful, harried experience. Keep all your records organized, keep abreast of the tax laws and know what you can and cannot deduct. If needed, be sure to go with a professional to make sure you get the all the deductions you deserve!